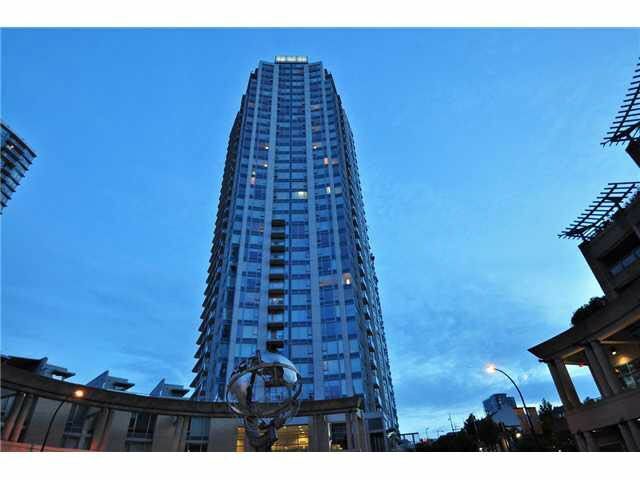 South West facing unit with nice false creek & city views. Bright 2 BR + den + 2 baths + 1 parking + patio. Features laminating flooring throughout, granite countertops, s/s appliances. Amenities include gym, lounge, indoor pool, hot tub, steam sauna, media room, library, 24 hrs concierge/security service. Just steps away BC Place & Rogers Arena, Costco, T&T Market, skytrain, bus stop, shoppings, gas town, China town, cinemas, downtown core, seawall and park.